San Carlos De Bariloche (or Bariloche for short) is a cute German influenced ski town in the very north of Patagonia. It’s actually rumoured to be where Hitler fled to after the end of the 2nd World War and stories swirl around the Gringo Trail of secret Nazi colonies in the hills. So needless to say I was pretty curious to visit this interesting little spot. Upon arrival, however, rather than finding a bunch of war criminals, I found a gorgeous town that would not be out of place in the Swiss Alps. You’ll find epic chocolate and beer and some amazing hiking in Bariloche. 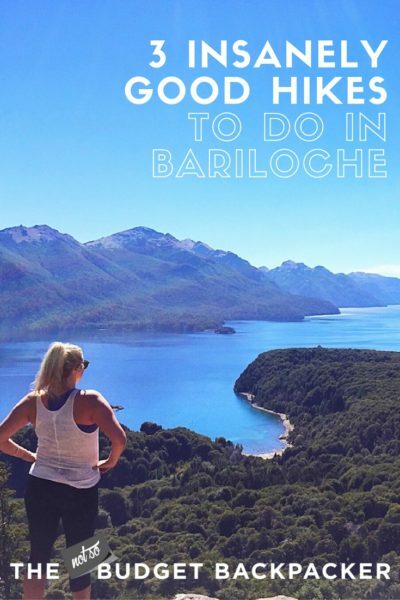 We arrived in summer and hit up a bunch of awesome Bariloche day hikes and explored the town. Wondering what to do in Bariloche? Here are 3 insane day hikes you have to do before you leave. 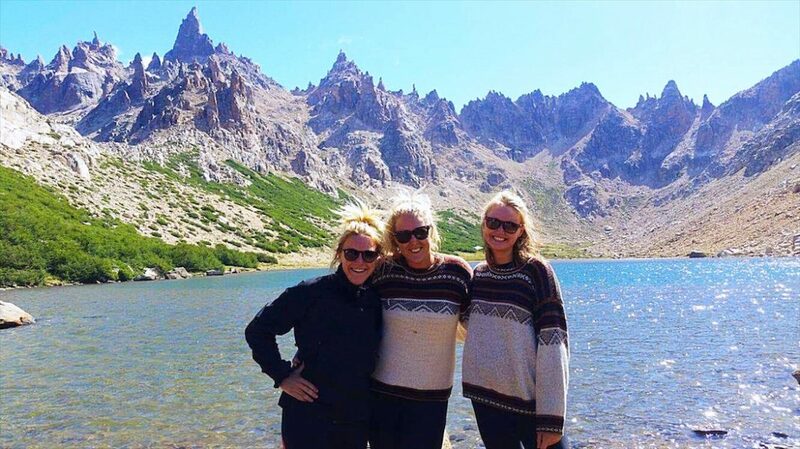 Jumper Friends on one of our Bariloche day hikes – Refugio Frey. When hiking in Bariloche you simply can’t go past Refugio Frey. It is constantly voted one of the top things to do in Bariloche Patagonia. Refugio Frey is a Refugio which sits at the base of a stunning lake which is reached by hiking about 4 hours along cliff tops and through dense forest. While the amazing lake and rocky torrents around the Refugio are a total reward once you reach it. The actual hike there is just as beautiful featuring a tonne of different scenery. 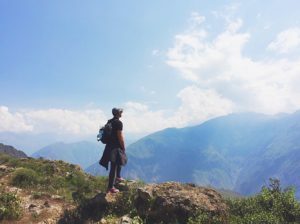 The first three hours are a little steep as you walk around the side of the mountain, scrambling over rocks and taking in the epic views of the surrounding lakes. Following this, the final hour is done through thick forest. All culminating in a steep 15-minute climb at the end to reach Refugio Frey. One of the stunning views on the way to Refugio Frey and some of the best Bariloche hiking. Once you reach the Refugio take a breather by the lake, help yourself to some tea, or reward yourself with a beer. Then start the 3-hour clamber back down the mountain. One word of warning, allow yourself plenty of time. The hike will take at least 7 hours and it can get dark pretty early in Bariloche. We ended up running the last hour in order to make the last bus, and my legs were not happy with me the next day. I will say it was worth it though, for one of the best hikes in Bariloche. HOW TO GET TO REFUGIO FREY BARILOCHE: The Refugio Frey hike starts from Villa Catedral car park. From the centre of Bariloche take the number 50 bus to the last stop – Lago Gutierrez. Just ask the driver to tell you once you are there. Or follow all the other tourists who will also get off here. When you get off the bus, walk across the car park slightly to the left. 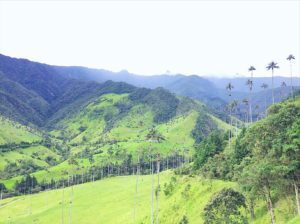 Here you will find a path with a sign that says ‘Cerro Frey’. Follow that path for about 15 minutes and you’ll find a ranger station and the trail head. COST: Free to walk. There is also the option of taking the ski lift which costs $20 USD. Views for days at the top of Cerro Llao Llao. One of my favourite Bariloche hikes. Cerro Lao Lao has to be one of my favourite Bariloche day hikes and amongst the best hiking in Bariloche. It’s not super hard and the views at the end make it all reward and no risk. The trail starts off flat and takes you through dense forest. Then after about 40 minutes, you start a gentle incline that zig zags its way to the top for a further 25 – 30 minutes. Once you reach the top you’ll find an amazing lunch location – rocky outcrops and some of the most incredible views I’ve seen in Patagonia of the Nahuel Haupi Lake. On the way back take a left turn and head to Villa Tacul and relax at the beautiful beach for a few hours before heading back to town. HOW TO GET TO CERRO LLAO LLAO: Take the bus 20 to Hotel Llao Llao. It’s the last stop, so pretty easy to find. When you get off the bus head down the hill and take a left up the road. After walking 10 more minutes you’ll come across a small ranger station who will be able to provide you with a map and some more information. Then just keep walking up the road until you reach the sign for the trail on the right. As mentioned above on the way back down, it’s worth a detour down a path to the left to the beach. To return to town, just go back the way you came. 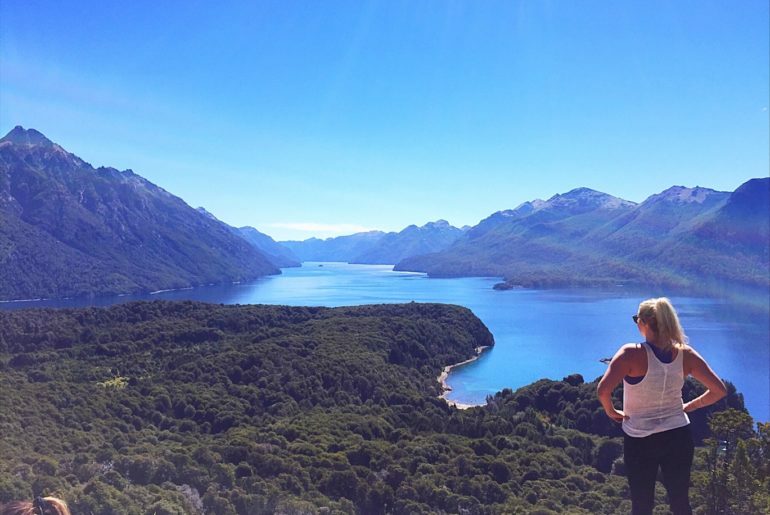 With stunning 360-degree views of Lake Nahuel Huapi, Lake Perito Moreno, Llao Llao peninsula and the surrounding mountains, this short but steep quick hike (about 30 – 45 minutes) is a must do if you’re looking for the best things to do in Bariloche Argentina. The trail is well defined and easy to follow and the added bonus is that most people take the chairlift, so you can feel smug standing at the top alongside them and knowing you took the harder route. There’s also a cute little cafe at the top where you can grab a coffee and a pastry to rewards yourself for all your hiking in Bariloche. The 360-degree views also make it an excellent spot for sunset. DIFFICULTY: Easy to medium. While it’s very steep it’s only a short hike. HOW TO GET TO CERRO CAMPANARIO: Take the number 10 or 20 bus which leaves from the centre of town every 20 minutes along Bustillo Ave until the 17.5km mark. Or just ask the driver to let you off at Cerro Campanario. If you’re looking at the chairlift the trail starts on the right-hand side about 50m to the right. COST: $120 AR for the chairlift. But hiking in Bariloche is insane, so just walk it. Plus it’s free! 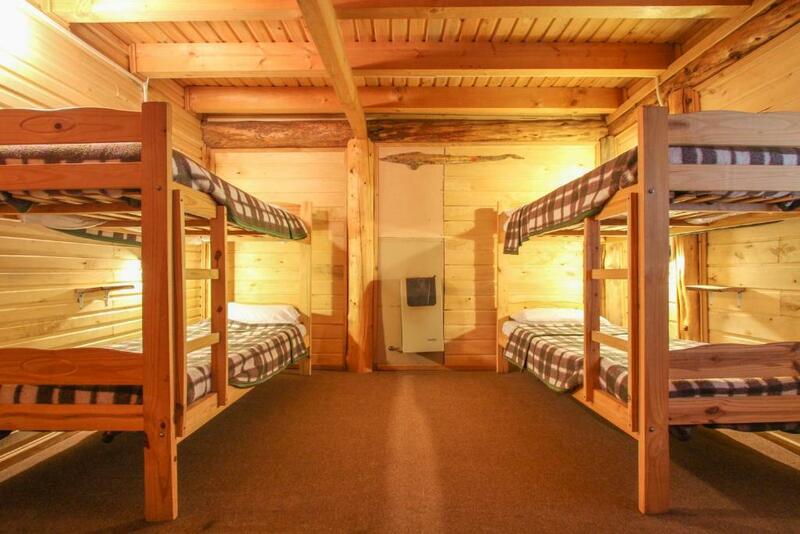 When hiking Bariloche accommodation is not cheap! However, I’ve been able to track down a whole lot of awesome Bariloche accommodation options from cheap yet lovely hostels to luxury hotels. Cozy, warm and affordable hostel a little out of town with free breakfast and friendly volunteers. Situated overlooking Gutierrez Lake, these bungalows are situated in the perfect spot for hikers. This luxury lodge has a heated pool and spa with a view of the lake and the mountains. This surprisingly affordable hotel is a little further out of town, with stunning views and friendly staff. 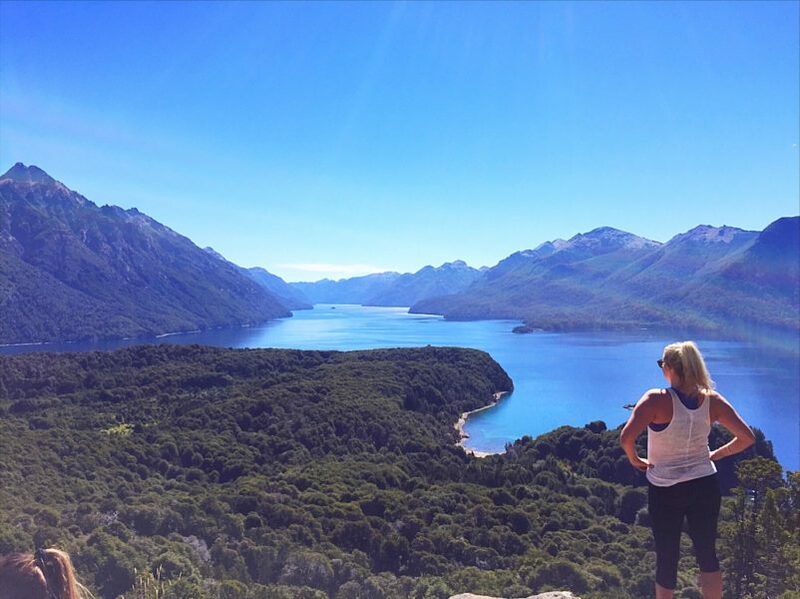 While food and accommodation can be pretty expensive, luckily hiking in Bariloche is free. Winning! we also cooked most meals ourselves and therefore only spent about $30 USD per day. We arrived in Bariloche by bus via Mendoza which took about 18 hours and cost around $80 USD. 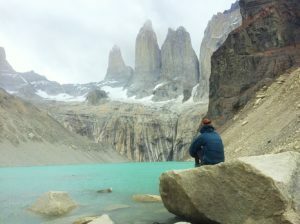 the easiest way to book any buses in Argentina and in Patagonia is to go to the bus station and book direct. If you’re heading up from the South, there is a direct bus from El Chalten, which takes 24 hours. however, it’s a pretty hellish ride, with terrible food, service and seats. and costs about $100 USD. I’d highly recommend flying with Aerolineas to El Calafate. Flights start at around $150 USD. 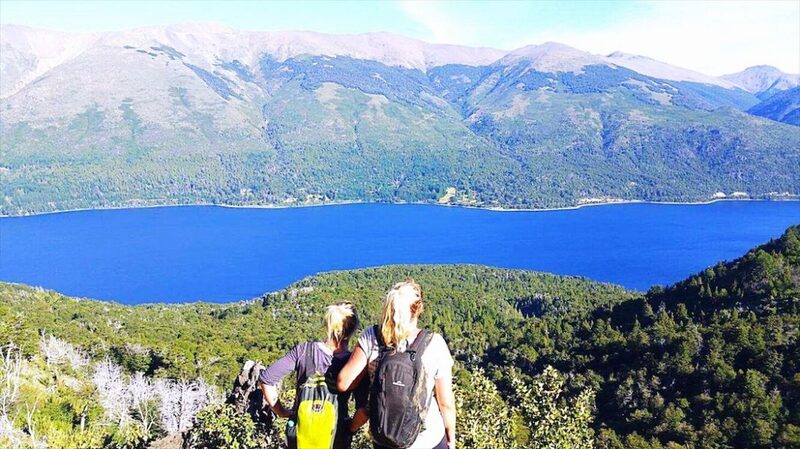 DONE all the hiking in Bariloche and want more?